On Imagination... — cassia cogger, artist. teacher. Yesterday I walked in to a special after school event at my daughter's elementary school carrying my traveling arsenal of art supplies. I had 50 minutes to set up supplies and guide 24 kiddos from start to finish on an acrylic painting. No sweat, after much consideration I had a plan. 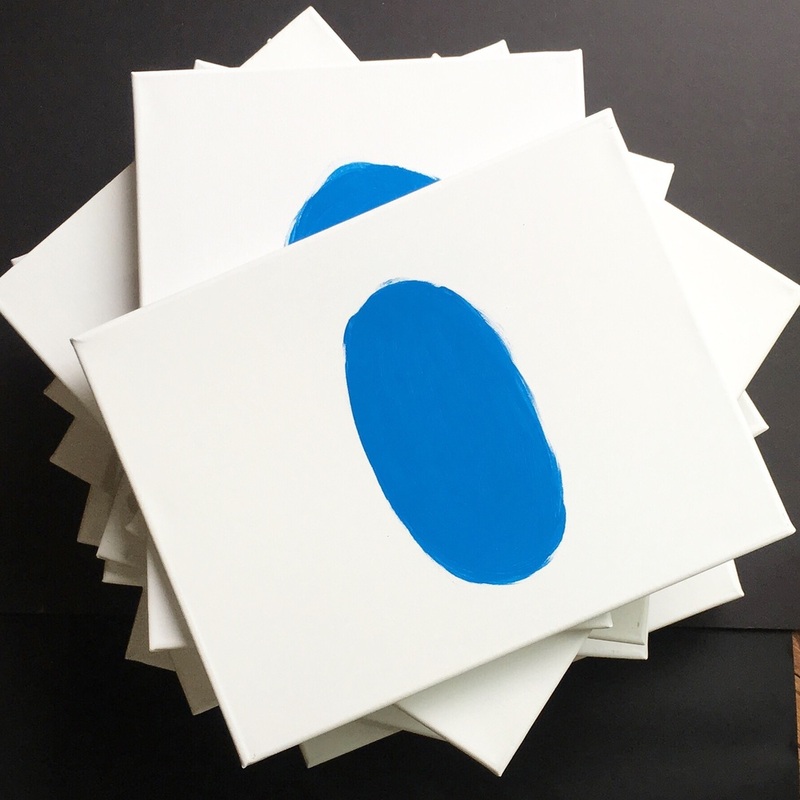 Earlier in the day I had repainted various sized blue spots on each canvas. "This is Spot..." I began my after school exploration. I challenged each and every child (ranging from k-5) to name their spot and bring it in to being. An imaginary being of their own creation. I was all ready to guide them through step by step but as I began it was obvious step by step direction wasn't necessary. The imaginations these children possessed blew me away. To encourage them to add this or paint that would have simply slowed them down. As I walked around I would give basic art instruction such as consider covering the entire canvas and if you don't consider why the background should be white. We talked about playing big shapes against smaller marks, putting in pops of pure color or highlights. At the end the addition of one or two darks and voila... We were done with time to spare. I'm still floored by the experience and reminded why I always, ALWAYS love painting with the youngest people the most! So here's a challenge for the weekend. Take a paper or canvas. Make a big blue spot. Bring it in to being, a creative being of your own imagination. Don't stop and give yourself directions like add this or paint that, just let your brush and imagination go. Drop me a line if you do, I would love to hear about it!